Hand made in Indianapolis, Indiana by craftsperson Lisa M Jones. Lisa is a crafter who has a passion for embroidery and sewing. The tiger design is embroidered on bright orange cotton blend fabric. 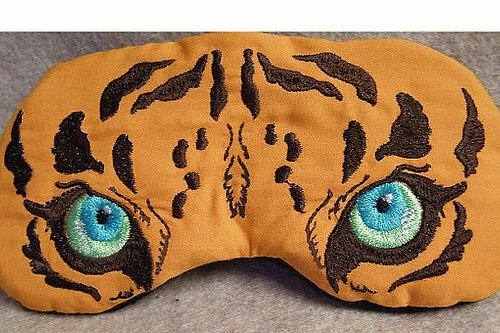 A beautiful sleep mask that is super comfy too!